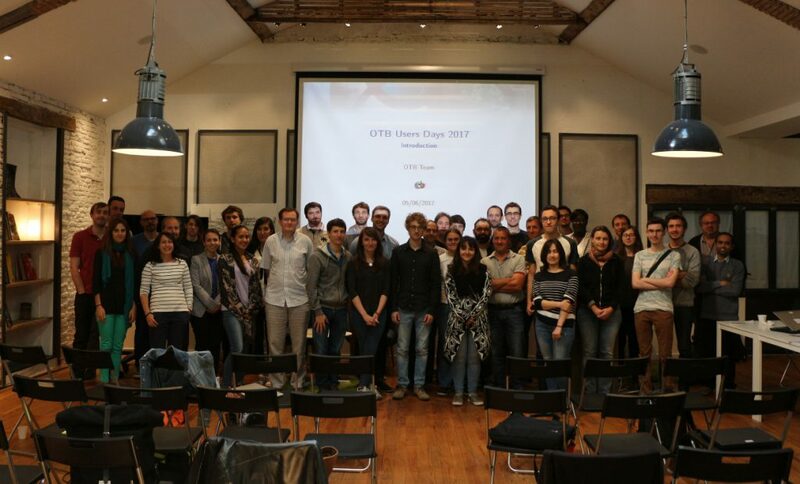 Following a tradition that is now three years old, we just held our OTB User Days 2017! 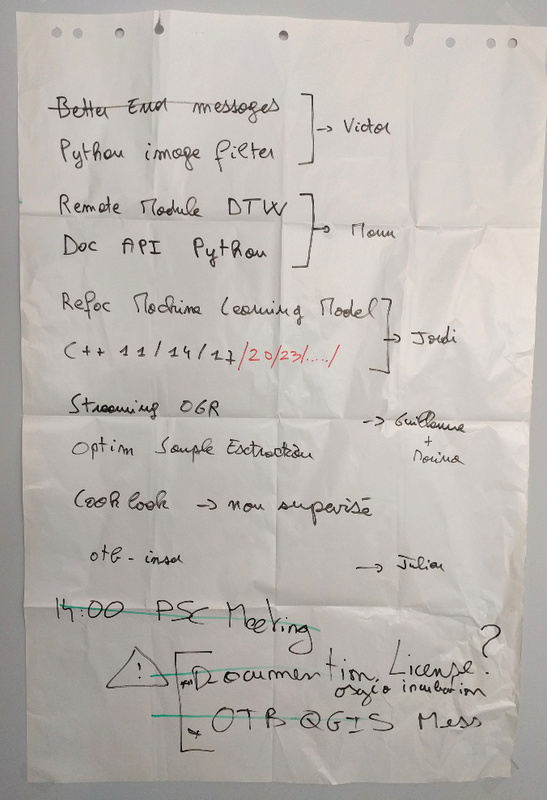 This three days meeting is open to everyone in the Orfeo ToolBox community, and this year’s edition was out biggest success so far. Some of the people have kept on following tutorials in the afternoon with special sessions about OTB classification framework and exercises to learn how to implement new functions in OTB using the C++ API. As usual it was a great pleasure to organize these tutorial sessions, it is always a good occasion to gather user feedbacks and see what can be improved in the library. The support material is available online. You will need the Data Package and the Workshop Guide. Don’t hesitate to test it and reuse it if you want (all the support material is licensed under a Creative Commons Attribution-ShareAlike 4.0 International License. Unsupervised learning : what is available in the OTB? Automatic classification : what is the best strategy? Radiometric indices : how to use different formulas than the ones available? Remote modules : how to make them? No-data : how does OTB handle it? Sentinel-1 metadata : how to retrieve the sensor position? We tried to organize the questions and group them by topic, but it was difficult given that each question was rather specific. In some cases, the discussion became quite technical and long. For next time, the talks shall be scheduled and have a fixed duration. We hope that the people present found their answers (and maybe more). In sampling framework, how to compute features on the sampled points only ? How could we chain applications in memory from command-line ? A detailed report is available on the wiki. Please feel free to comment or improve the report ! How to improve OTB integration in QGIS? See you next year for the fourth edition! Previous PostOrfeo ToolBox 6.0 is out! Next PostOrfeo ToolBox 6.2 is out!